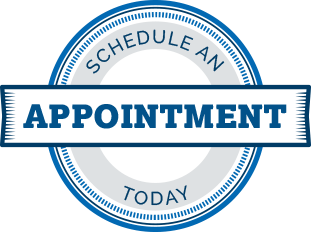 For safer driving in wet weather, schedule your service today. Using Aquapel Glass treatment on your windshield keeps you driving safely in the rain with streak free windshield. Keep auto glass clear with Aquapel Glass Treatment! A single glass treatment repels water for up to 6 months. Aquapel Glass Treatment bonds to the glass to dramatically improve drivers’ visibility, day and night. When oil, dirt, and grime from the road mix with rain causing your windshield to blur; making driving difficult and dangerous. Aquapel Glass Treatment seals the glass to repel water. Rain, snow, and dirt beads on the windshield and rolls off to maintain better visibility and safer driving conditions. We often forget how important Wiper Blades are and don’t think about replacing them until the middle of rain storm. Weather, dirt, and extreme temperatures break down the soft rubber like blades and they become cracked, split, torn, brittle, worn or otherwise in obvious need of replacement. Others may look okay, but do a lousy job of wiping when put to the test. We recommend changing your wiper blades every six months to twelve months. Our techs inspect your wiper blades and windshield fluid at every visit. For better visibility and safer driving we recommend an Aquapel Treatment with new Wiper Blades.